It’s a long weekend here in Melbourne and I’m heading off to my nephew’s 4th birthday party soon, so as usual I left my card making until the last minute! As soon as I saw the sketch at Create with Connie & Mary this week I knew it was going to be a great sketch for my nephew’s card. We’re all putting in and buying him one of those train set tables that has the wooden Thomas the Tank sets on it and I figured what better stamp set to use than Choo Choo. Here’s my card (you’re probably thinking where’s the layers I normally pile on? – today I was going for a CAS style). I’ve also flipped the sketch to fit in my sentiment and train. Too Cute!! I love that little train and all the details. I also love those colors together. Perfect for a little guy. Thanks for joining us this week over at Create with Connie and Mary. Cute, cute, cute!!! Love the train carrying the balloons – very clever! Thanks for playing the challenge at Create with Connie and Mary! Sooo stinkin’ cute!! 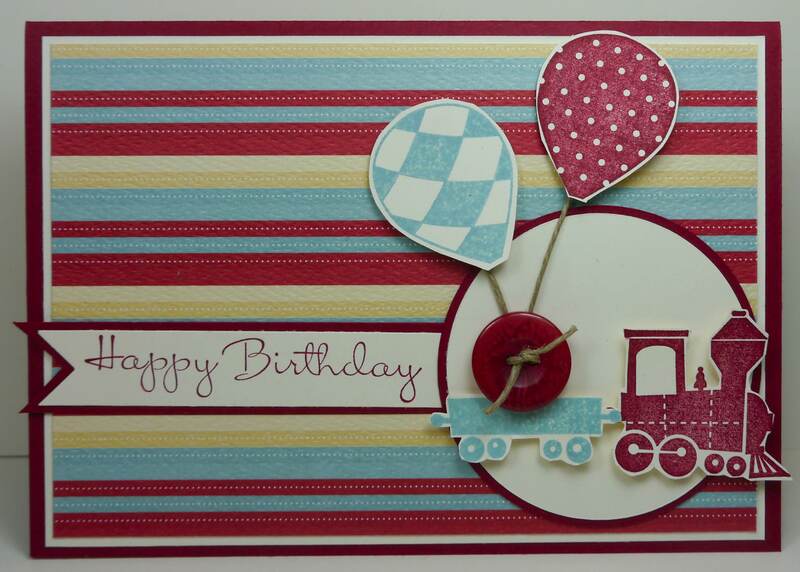 Love the train, the balloons, the paper…love it ALL. Great job Narelle. 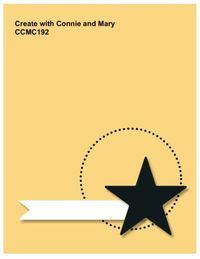 Thank you for playing along with us at CCMC! Super cute card (as always!). I like the balloons floating from the train. Thanks for participating with Create with Connie & Mary this week! Your birthday train would brighten anyone’s day! How fun! Thanks for playing along this week in the Create with Connie and Mary Thursday Challenge! How cute! Great card for a young boy’s birthday! Very bright and cheerful! This would brighten anyone’s day! Thanks for playing the Create with Connie & Mary challenge this week! That’s a wonderful card for a little boy!!! Love how you did the button and balloons. Thanks for playing along with the sketch challenge this week on Create with Connie and Mary!